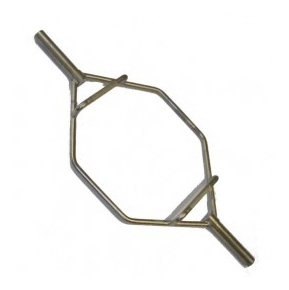 Heavy duty Olympic Shrug Bar suitable for Olympic weight plates (2 inch diameter) only. The Shrug Bar is suitable for Shrugs and Deadlifts. Width between handles - 23"